Today's card is a good example. card. I used the Stitched Rectangles and inserted a piece of acetate with double-sided tape and then mounted it on a piece of 4" x 5 1/4" card base. In between the acetate, I added some confetti, plastic stars and sequins. The soft stickers are easy to use and really make the design a cinch to create. Now, for the fun of it, I am sharing my camera set-up. I think it's kind of hilarious, but it totally works! Some of you know that Dr. John made a Lego structure for my You Tube video taping. One day, while I was running on the treadmill, I thought of having pine needles hanging down...that would make a cool picture, wouldn't it? I have no secrets. Hope this post makes you smile. Lastly, I want to pass on some pertinent info. Wow...see that? 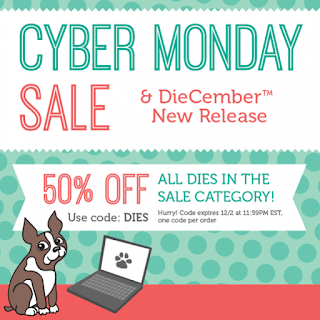 Some really awesome dies are 50% off. Click here to check them out! Use code--->DIES. Edited: I would get a few of those Lawn Fawn dies! Off to shop now. It took me some time to come to this decision. Today is the day to announce it. Yes, the title says it all: embossing, masking and ink-smooshing. 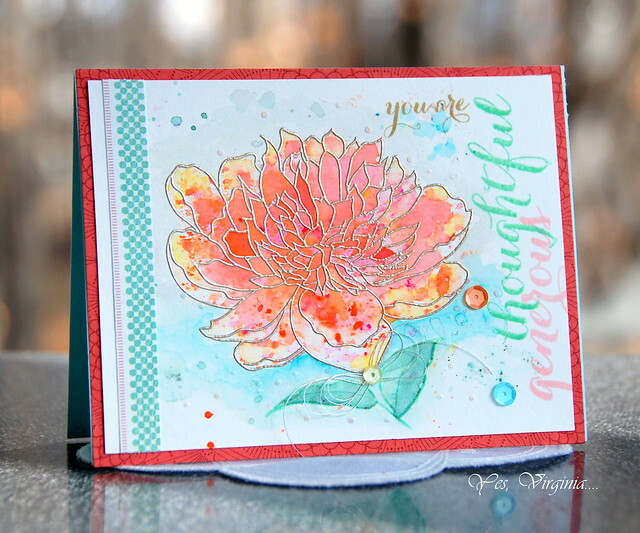 This gorgeous stamp "Large Peony" is from The Ton. Well, let's take a look at the several techniques that I used, shall we? 1. 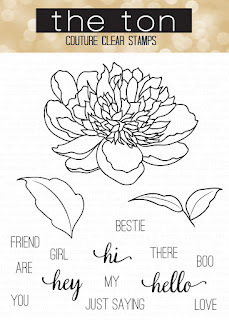 Embossing: the peony image was first embossed with Platinum Embossing Powder. 2. Masking: with Elmer's Rubber Cement Fluid, I applied a coat of masking fluid with an old paint brush to create a barrier all around the large peony. Let dry. 3. Ink-smooshing: I applied Zig marker and Spectrum Aqua on a piece of acetate. I then splashed tiny droplets of water. Smooshed the inks to the embossed Peony! Let dry. After the surface was dried, I peeled off the mask and then added water-coloring all around the peony (the blue). Lastly, I stamped the sentiment and added sequins. I then adhered the image to the pattern paper. It was the most enjoyable creative experience. I think I will do this all again. As an avid stampers, I am ALWAYS looking out for the latest and most creative ways of using stamps. If you like my sharing, please let me know. If you'd also like to take advantage of the Black Friday/Cyber Monday Sale, the supplies that I used today are worth checking out: MISTI(currently sold out over SSS--boo!) , ZIG markers and Spectrum Aqua Markers. These are my absolutely favorites for 2015! Today is another chance to get deals over Craftsy. Hello, dear Yes, Virginia... friends and followers. 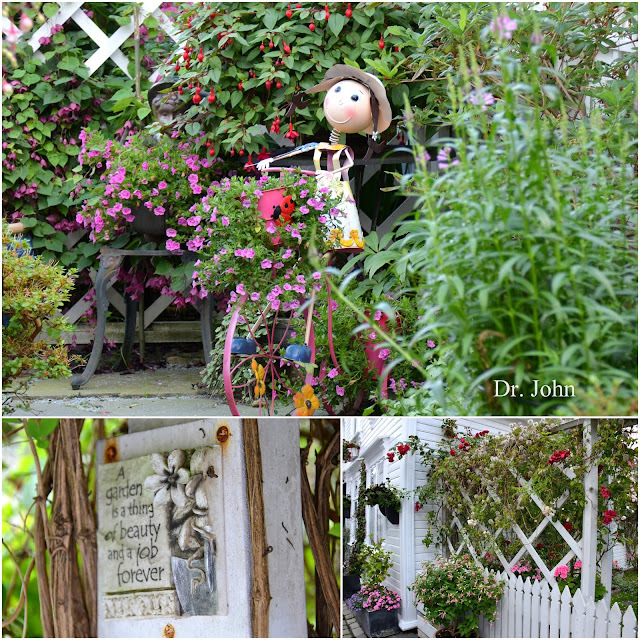 It's Dr. John here. 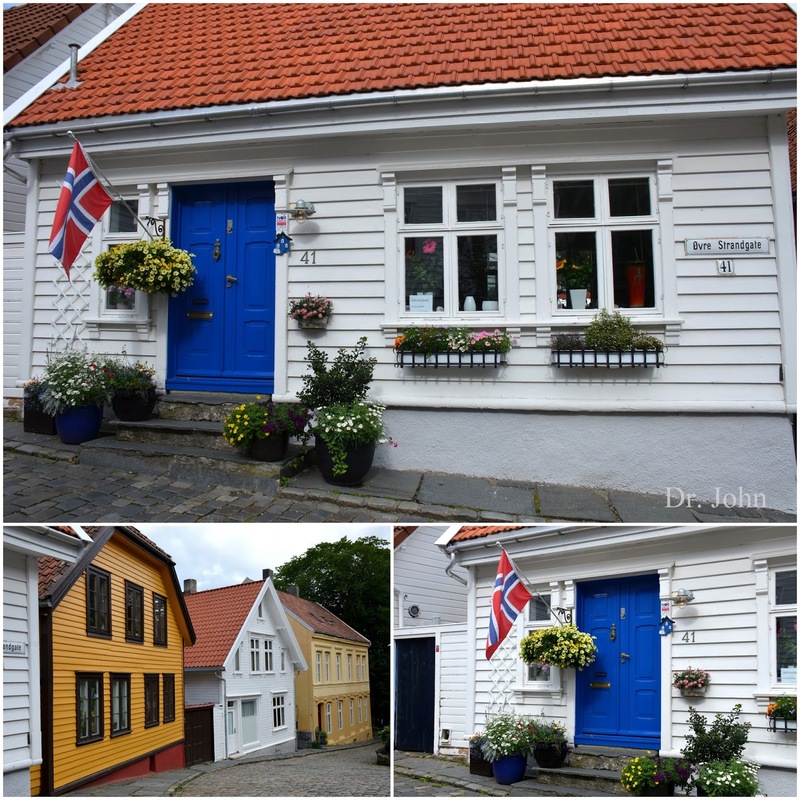 Today's post is about Stavanger, our final port-of-call for this cruise. Before I continue, I would like to thank all those who left comments on my posts. A special shout-out to Conil and Harriet for leaving detailed and encouraging comments - you pointed out details in my photos that I didn't even notice! Stavanger is considered the oil capital of Norway. 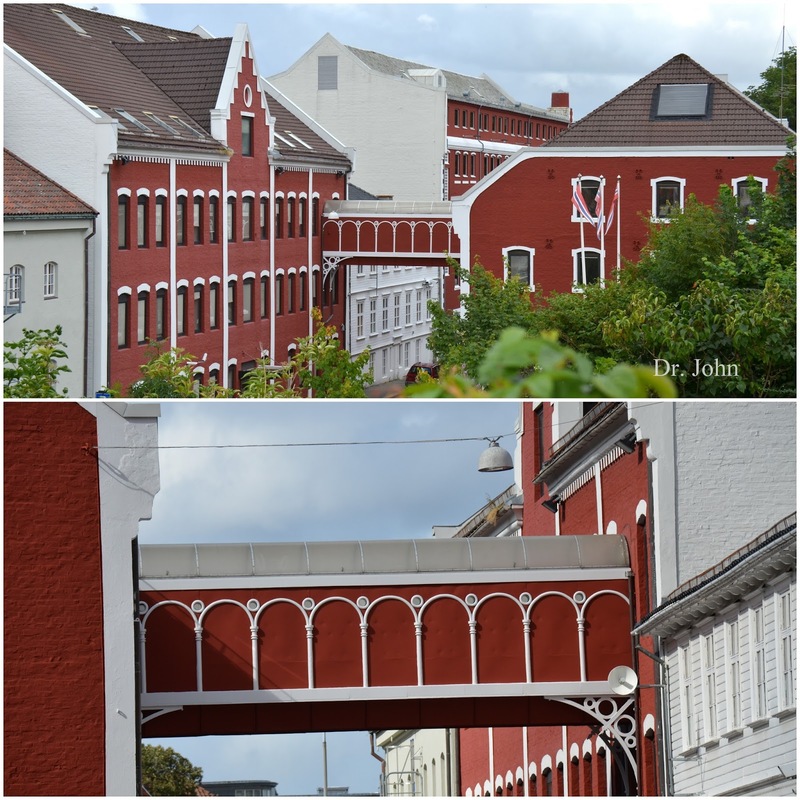 The first oil-drilling platform in the North Sea came to Stavanger in 1969. The petroleum industry would become one of Norway's main industries and Norway would become one of the world's leading oil-producing countries. 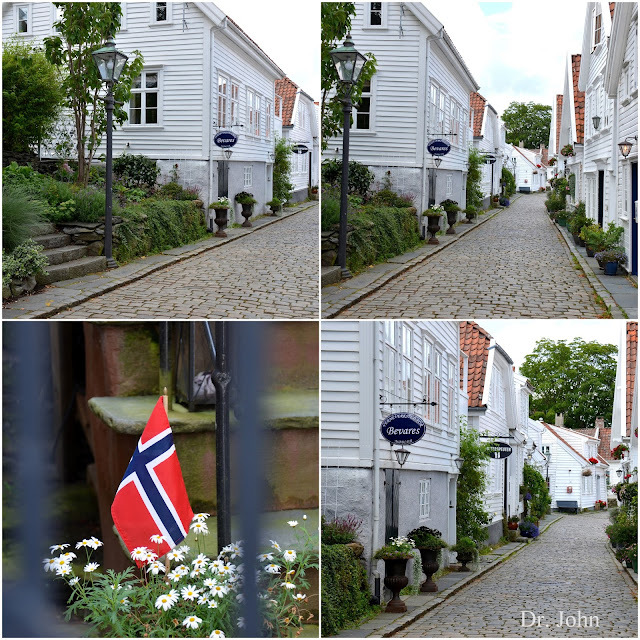 While our kids went on an excursion to Pulpit rock (see HERE), Virginia and I explored Gamle Stavanger (the "old town"), which consists of 173 small, white, wooden houses crunched together. 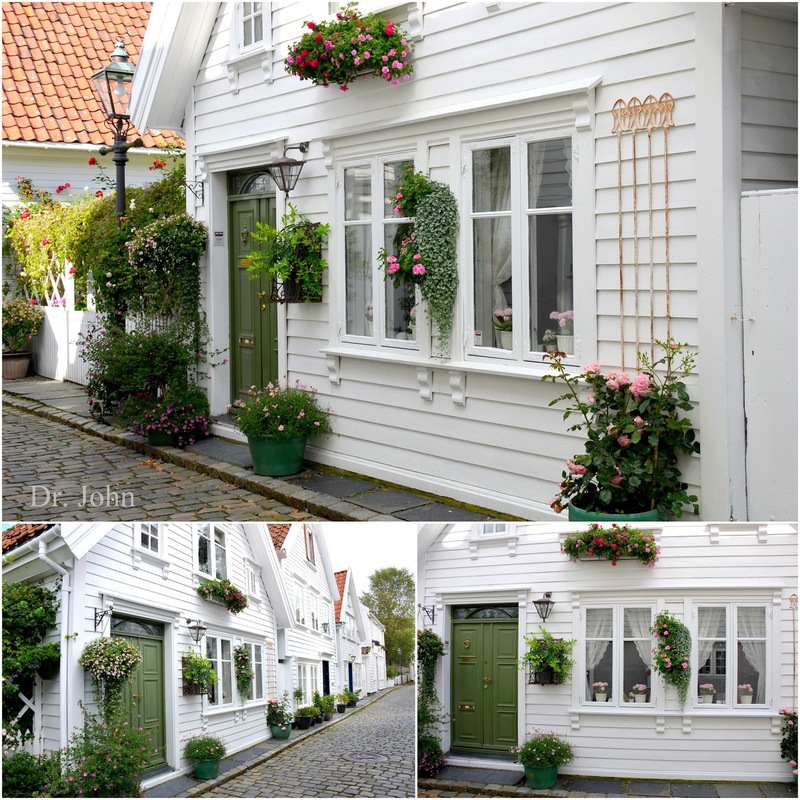 Some of these 300 year old houses are still in use today. 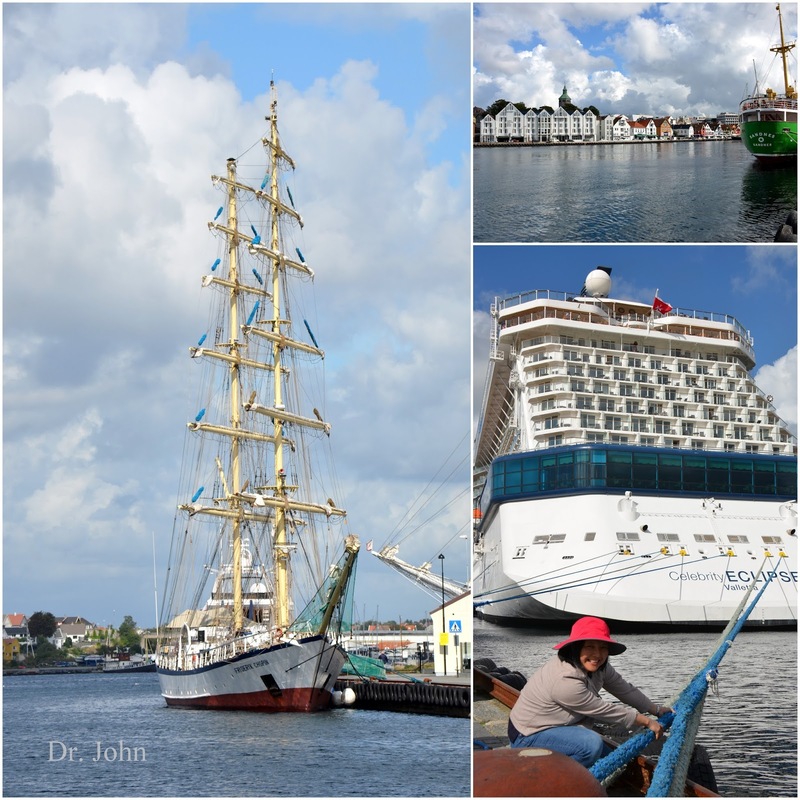 Bottom right: Virginia single-handedly pulls our ship into dock. 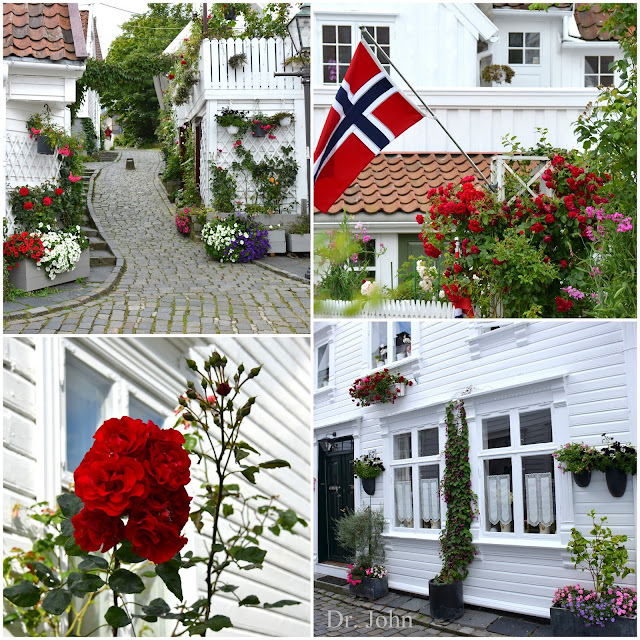 The "old town", featuring narrow, winding, cobblestone back lanes, with tidy wooden houses, oasis gardens, and flowers everywhere. 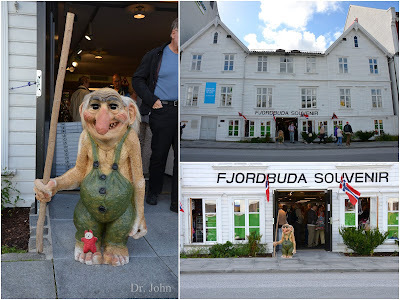 The Norwegian Petroleum Museum. Exhibits describe how oil is formed, how it's found and produced, and what it's used for. This concludes our cruise. After a day at sea, we returned to Southampton and flew back to Toronto. Hope you enjoyed this virtual tour. A big round of applause to Dr. John for sharing his travel photos and descriptions of the places we visited. Please leave him a comment if you have enjoyed any of his travel posts. Thank you! A note about using my affiliate links. If you use my links to purchase a class or products that I share, I will get a small commission and it will cost you nothing. That basically is acknowledging the work that I put into this blog. You are encouraging me to keep the content updated and inspiring. Thank you. Hello friends! This is my 2nd post for the day. 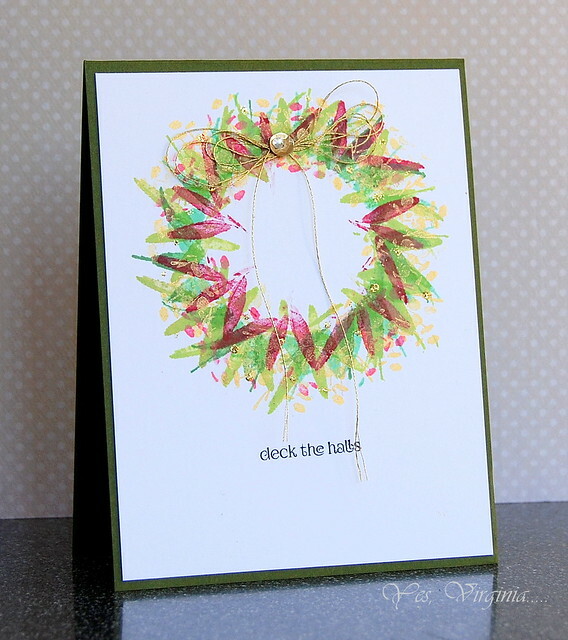 For my post about using an unlikely stamp to create a wreath, please click here. (edited)....because it is almost Black Friday! Everything over Simon Says Stamp is 15% off-- >click here. "Houston, we have a problem... Virginia can't stop stamping." Here is an easy one to duplicate. The paper in this kit is so enchanting. There is not a lot that I needed to add. 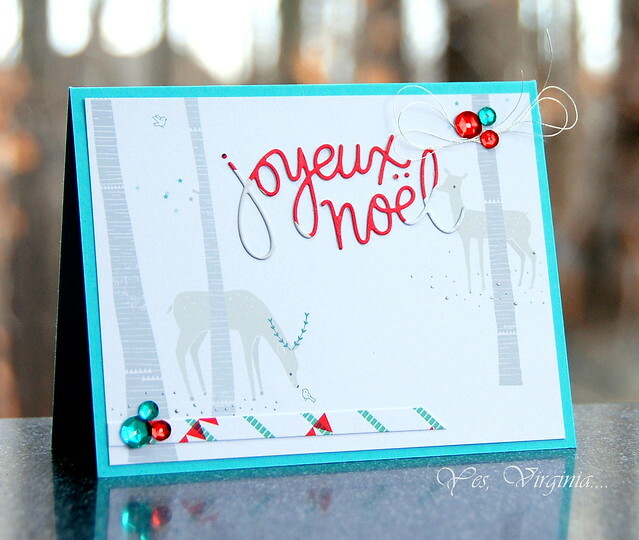 As much as I love to stamp, I merely added the sentiment "Joyeux Noel". 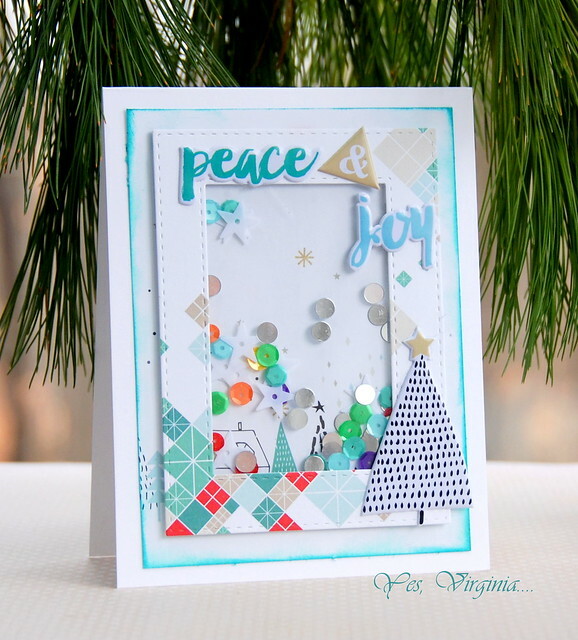 The best thing about playing with a card kit like this is that the color scheme of the paper and embellishments are matching and easy to create with. 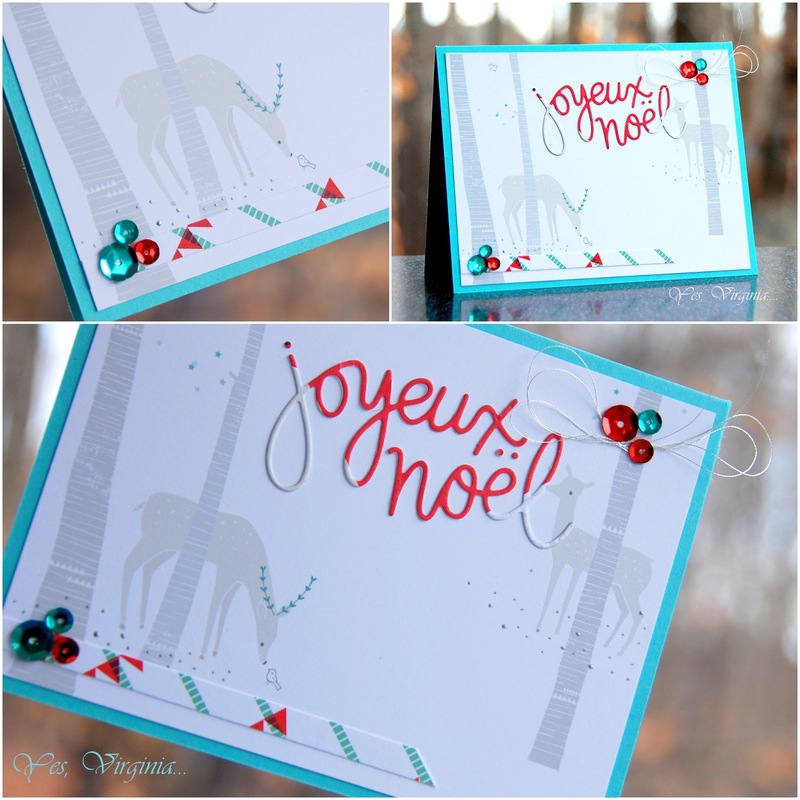 The December Card Kit truly is lovely! If you are not getting the kit, this is THE time to get this stamp set "Gifts of Love". I adore that cat and had to play with it one more time. 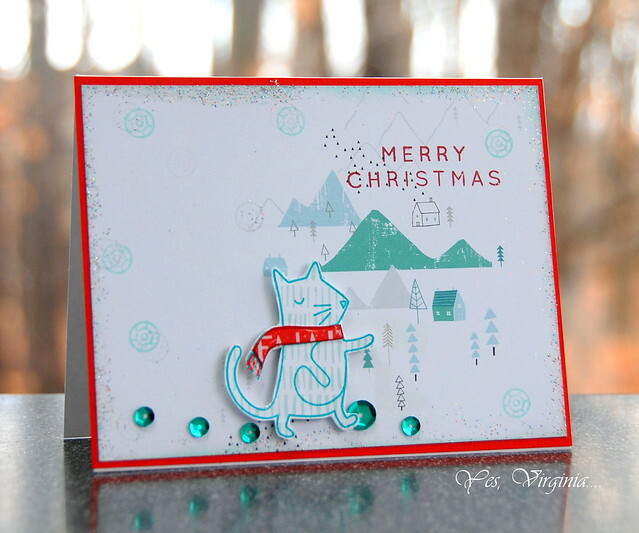 Again, I worked with the pattern paper and merely added the paper-pieced kitty in the wintry scene. One Versamark Ink Cube and one Simon Says Stamp Rainbow Fine Embossing Glitter are included in the kit! See the shiny speckles around all the edges? Yeah, that's from embossing. 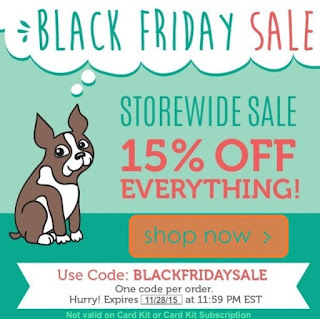 And since it's almost Black Friday, I want to pass on the deals over Craftsy. 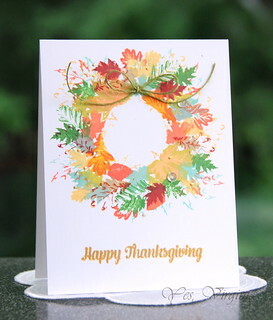 Can you create a wreath with a cling stamp like "Full Bloom" ? Previously I had done my Monthly Stamp Studies with this stamp, but I came up with another idea! Well, the answer is... absolutely yes! As you can see, there are layers of colors <---that's where the magic is. There are no actual layers and the card is pretty much flat as I like my cards to be mail-friendly. 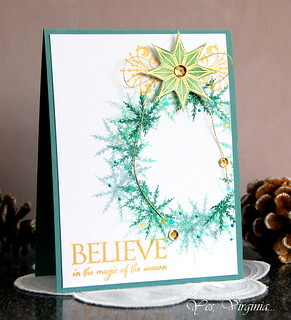 I started out with stamping the medium shade of green (Fern) with the help of a circle die (as a mask). 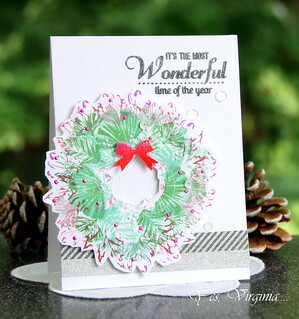 Once I could see the circle that I stamped, I added lighter green. 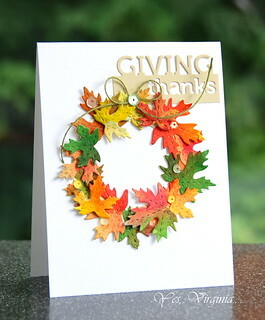 I then stamped the red leaves until the wreath was getting to be a full circle. For the final step, I stamped gold, dotted here and there. This cling stamp was not damaged or cut in any way. I merely bent it a bit while I stamped the small details. I encourage you to take a look at your stash and try using the leafy kind of stamps. I know you will be pleasantly surprised (like I was)! 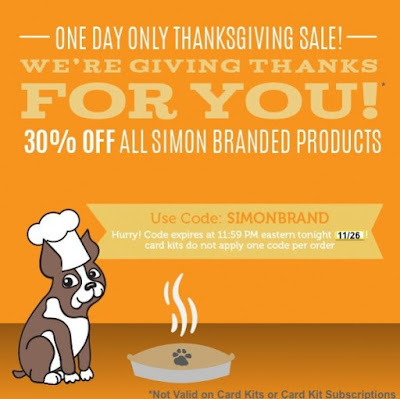 simply use code: SIMONBRAND--one day only! Guest Designing for Penny Black!! Make the Word Die Work!